1. The maximum size that you can ship is 130 inches (length + distance around the largest point). 2. Modes of shipment available include Priority Mail Express, Priority Mail, First-Class Mail Parcels, Standard Post, and Package Services. 3. Contents of your packages must not weigh more than 70 lbs. The maximum combined length and girth (the distance around the thickest part of the package) is 108 inches. 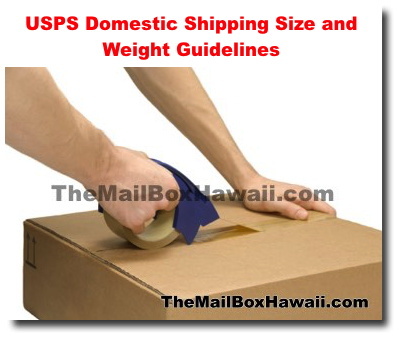 If your package is larger, bring it over to your local post office and ship using Standard Post. To help measure package girth, visit this link.